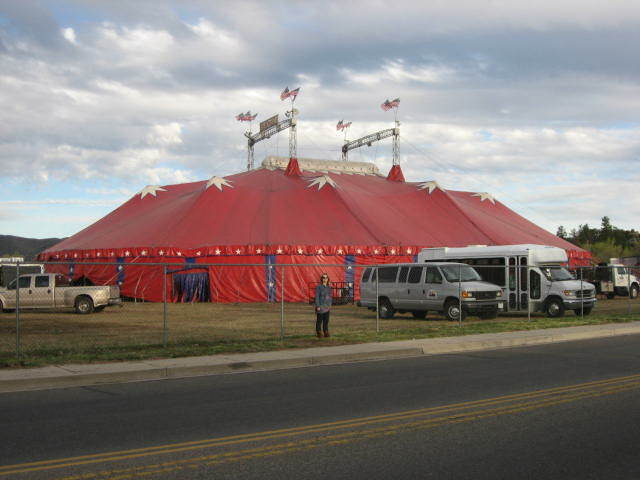 On Monday, a big top circus tent suddenly appeared three blocks from our house at the rodeo grounds. My husband and I took a walk over to check things out. We discovered camels and lots of other animals, like brown zebras and miniature ponies, relaxing and having snacks. 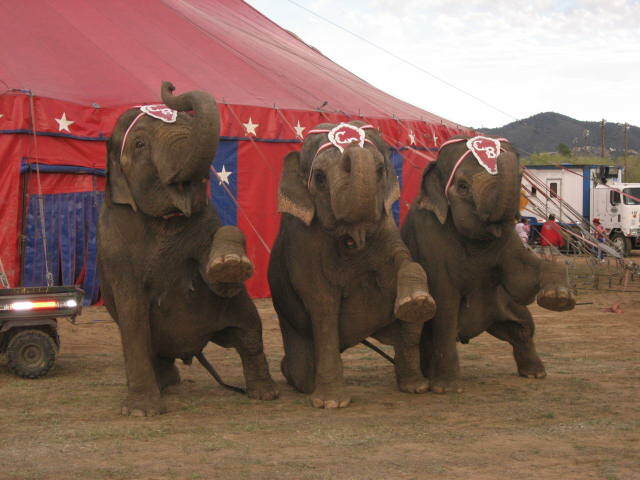 But the most amazing and dear part was when a trainer – who saw us taking pictures – brought over three elephants, walked them around in a little circle, and had them pose…just for us! I swear, it was one of the sweetest moments ever…something that you think might have happened only in days gone by. ~ by Dawn Elliott on April 13, 2011.
dawn…i was driving by just as they arrived! the tent was not up yet. 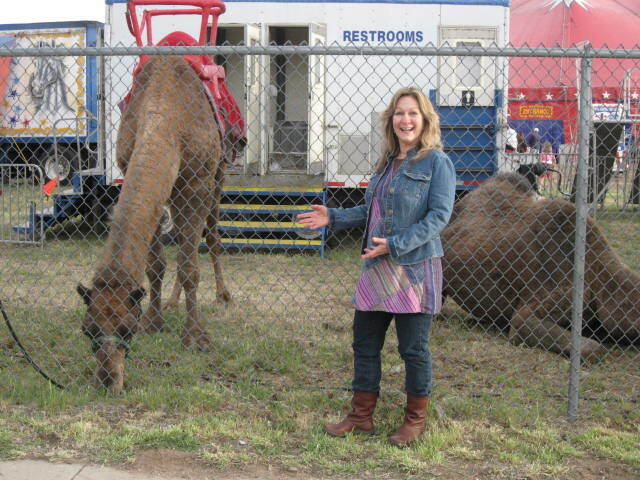 the camels and elephants were all milling around and the roadies setting up camp. i moaned for my camera but was on the way to my all day infusion. love love love that you have the elephants in sweet salutation! perfectly wonderful!!! so glad you and steve were there to capture the thrill of a circus coming to town! How fun! A circus. I can’t remember when last we went to a circus. It will be time soon for a circus out this way. I love the elephants, they are darling. Thx for sharing Dawn. Have a great rest of the week. Those elephants are so lovely!